Professor of Sociology, University of Southampton. Professor of Families and Relationships, University of Edinburgh. Since 2000 Susie has been conducting qualitative social research with children and families across a range of publicly-funded, high profile studies. With a substantive focus on care and intimacy, her most recent work explores the feasibility of conducting secondary data analysis across existing data from several complex qualitative longitudinal studies. She is also a senior research advisor in an international and inter-disciplinary collaborative network exploring adolescent nutrition in sub-Saharan Africa and India. 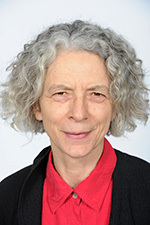 Her recent publications on QLR have explored issues of morality, ethics and creative research practices, as well as contributing to the development of new analytical approaches. Emma is a Leverhulme Early Career Research Fellow and co-director of interdisciplinary consortium, the Centre for Research on Families and Relationships. She has over 10 years’ experience of working as a social researcher, within a wide range of publicly-funded studies. Her ongoing Leverhulme research is exploring the everyday social worlds of public libraries and the challenges they face under austerity. Recent publications include Saying It Like It Is? Power, Participation and Research Involving Young People, How are you? : Young care leavers’ narratives of support and Finding the Ordinary in the Antisocial.